I offer an editorial service ranging from structural and development editing, including advice on design and illustration, to a light copy edit or proofread. As part of an edit, I format files ready for print layout and ebook conversion (i.e. to the stage where they can be uploaded to Amazon/Kindle and/or Smashwords). • non-fiction for all ages. You can view my portfolio here, and find out about my fees here. This looks at the overall structure of a book. For non-fiction, it addresses the organisation and flow of text and images, and the use of features such as breakout boxes, diagrams and activities. I can also assist with research, and with sourcing photographs and illustrations. *Note: This link will take you to the New Zealand Association of Manuscript Assessors, and this one will take you to the New Zealand Society of Authors website where you can find information on their manuscript assessment programme. This addresses grammar, punctuation, spelling, consistency, clarity, and so on. I draw up a style guide for each book or series, to ensure consistency across the text. Changes and corrections are highlighted in ‘track changes’ for authors/publishers to accept/reject, and queries and suggestions for improvement are included in comments boxes. This is a final read-through after copy editing, and involves correction of mistakes only – no editing or rewriting. For all books, I import the text into a simple template and then style it, which smooths the path to print or ebook publishing. •For ebooks, I can format text into files that are ready for uploading to Amazon (Kindle) and Smashwords (includes Kobo, iBooks, and other ebook retailers). •For non-complex print books (i.e. those that don’t include diagrams, photos, or multiple fonts), I can supply your book as a print-ready PDF. Until their closure in 2013, I freelanced part-time, and eventually full-time, for educational publisher Pearson. I edited more than 50 Pearson titles, mostly secondary school books, especially history, science, English, geography and social studies. 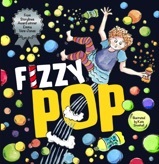 I regularly edit picture books, non-fiction titles, and junior/YA fiction for Huia Publishing. Other NZ clients have included New Holland, Hodder Moa Becket, Random House, Pindar, and Cengage Learning. Increasingly, I am working with self-publishing authors, particularly on children’s and YA fiction. My first job that involved writing was as a press officer at London Zoo. Having always been fascinated by wildlife this was a bit of a dream job for me. My other big love is travel, so after four years at the zoo I took some time off to see the world. While I was away I wrote a travel column for the UK children’s newspaper The Early Times, and on my return wrote a weekly wildlife column for the same paper. After my travels I moved into publishing. 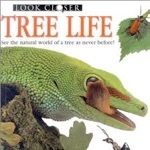 My projects for Dorling Kindersley included a natural history series called Look Closer, a children’s encyclopaedia, and Children Just Like Me, which I wrote and edited. This book became a worldwide bestseller and won several awards, including The Times Educational Supplement best children’s non-fiction book. Since moving to New Zealand, I have worked as a freelance editor on books ranging from pre-school to university texts; on gardening, history, science, the environment, cookery, travel, astronomy, (you name it ...), as well as on fiction projects ranging from picture books to epic fantasy and sci-fi novels. Lucky me! "I was thrilled with the editing. Sue is an experienced, prompt and professional editor. Highly recommended."